Voted one of the ten best books in Native American and Indigenous Studies by the membership of the Native American and Indigenous Studies Association. Despite the passage of time, our vision of Native Americans remains locked up within powerful stereotypes. That's why some images of Indians can be so unexpected and disorienting: What is Geronimo doing sitting in a Cadillac? Why is an Indian woman in beaded buckskin sitting under a salon hairdryer? Such images startle and challenge our outdated visions, even as the latter continue to dominate relations between Native and non-Native Americans. 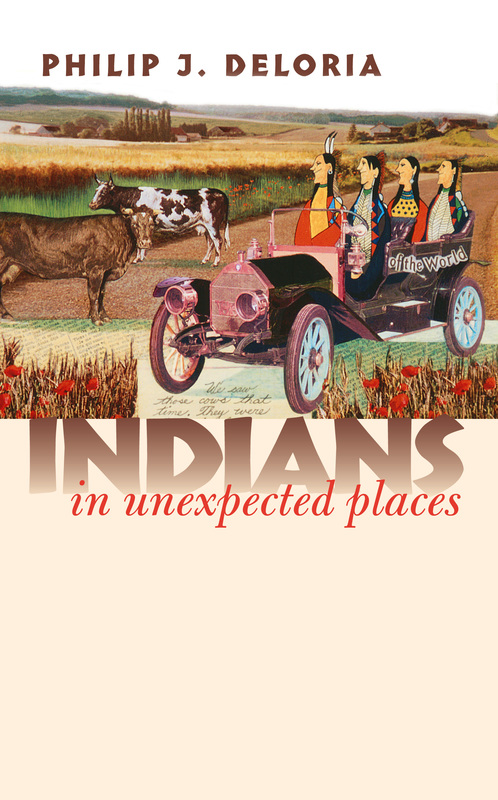 Philip Deloria explores this cultural discordance to show how stereotypes and Indian experiences have competed for ascendancy in the wake of the military conquest of Native America and the nation's subsequent embrace of Native "authenticity." Rewriting the story of the national encounter with modernity, Deloria provides revealing accounts of Indians doing unexpected things—singing opera, driving cars, acting in Hollywood—in ways that suggest new directions for American Indian history. Focusing on the late nineteenth and early twentieth centuries—a time when, according to most standard American narratives, Indian people almost dropped out of history itself—Deloria argues that a great many Indians engaged the very same forces of modernization that were leading non-Indians to reevaluate their own understandings of themselves and their society. He examines longstanding stereotypes of Indians as invariably violent, suggesting that even as such views continued in American popular culture, they were also transformed by the violence at Wounded Knee. He tells how Indians came to represent themselves in Wild West shows and Hollywood films and also examines sports, music, and even Indian people's use of the automobile—an ironic counterpoint to today's highways teeming with Dakota pick-ups and Cherokee sport utility vehicles. Throughout, Deloria shows us anomalies that resist pigeonholing and force us to rethink familiar expectations. Whether considering the Hollywood films of James Young Deer or the Hall of Fame baseball career of pitcher Charles Albert Bender, he persuasively demonstrates that a significant number of Indian people engaged in modernity—and helped shape its anxieties and its textures—at the very moment they were being defined as "primitive." These "secret histories," Deloria suggests, compel us to reconsider our own current expectations about what Indian people should be, how they should act, and even what they should look like. More important, he shows how such seemingly harmless (even if unconscious) expectations contribute to the racism and injustice that still haunt the experience of many Native American people today.